To donate online through our fiscal sponsor Social and Environmental Entrepreneurs (SEE), using Pay-Pal, click here and then on the blue “Donate” button, thank you! *Give us a call at (209) 589-9277. One of our volunteers will help figure out the best way for you to donate on a one-time or reoccurring basis. 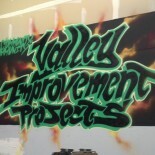 *Send us an e-mail, a Facebook message, or comment on our website: Our e-mail address is valleyimprovementprojects@gmail.com, or visit http://facebook.com/valleyimprovementprojects and https://valleyimprovementprojects.org/donate and contact us somehow. We will get back to you with all the information you need to accommodate your specific donation. You can choose to give a one time donation or sign up for a reoccurring monthly or yearly donation, sign-up to receive information on upcoming events and projects. Valley Improvement Projects is a project of Social and Environmental Entrepreneurs, a 501 (c)(3) non-profit. Please make checks payable to Social and Environmental Entrepreneurs and put “Valley Improvement Projects” in the memo line. If you are donating by credit card, please note that Social and Environmental Entrepreneurs, or a variation of SEE, will show up on your credit card statement. Your donation is tax deductible and greatly appreciated. I just added Brown Paper Tickets to donation list for V.I.P.. Anytime I order tickets for an event, I can submit a non profit to donate to. We shall see what happens.